OVC H15 Review – How Good Can a $50 ANC Dual Driver Be? You would be excused for not knowing about OVC, I certainly didn’t and a quick Google search revealed little about the new upstart’s previous designs and products. But some interesting comments in their e-mail to me certainly caught my attention, their new H15 is, to my knowledge, a completely original active noise cancelling in-ear with a very conservative $50 USD asking price. In addition, OVC had some bold claims, comparing their product favourably with the venerable Bose QC20, an almost class-leading benchmark among active noise cancelling earphones. With an asking price under a quarter of Bose’s, let’s see if OVC’s latest in-ear manages to match or perhaps even best the Bose and other similarly priced in-ears in terms of noise attenuation and sound quality. I would like to thank Shallow from OVC very much for her quick communication and for providing me with the H15 for the purpose of review. All words are my own and there is no monetary incentive for a positive review. Despite receiving the earphones free of cost, I will attempt to be as objective as possible in my evaluation. The H15 come within a small but well presenting box showcasing the earphones, basic features and specs on an outer sleeve. Sliding off the sleeve allows buyers to open the hard box underneath, revealing the earphones within a moulded plastic inlet. Underneath is a soft pouch containing some addition accessories. OVC outfit the H15 with 5 pairs of eartips, 3 sizes of soft white/transparent silicone tips and 2 pairs of firmer, more rounded black tips; all with Bose-like stabiliser wings that keep the shallower fitting earphones firmly locked into the concha of the ear. The earphones also come with a small magnetic clasp to keep the cable in order during storage and a plane adaptor since these are practically built for travel. Considering the price and higher manufacturing cost of ANC technology, I’m really happy with the unboxing, the package presents well and the included accessories are of faultless quality with no moulding issues, missing tips, etc. The H15 is a predominately plastic earphone with a traditional cable-down fit. Despite this, the earphones feel relatively solid and well assembled; there are no obvious points of weakness to the housings, the seams are quite small and the components are well matched. The metal grills on the outer face of the earphones also enhance their in-hand feel without being overly attention grabbing in public places. From an aesthetic point of view, it’s pretty clear that the H15 is at least inspired by Bose’s earphones which isn’t a bad thing, both are quite subdued in their styling and very ergonomically inclined though the Bose earphones both look and feel considerably more premium. Both earphones also fit very similarly and the H15 pulls off the Bose style fit far better than any other budget semi in-ear I’ve used, they are exceptionally comfortable and seal reliably; I think I actually prefer OVC’s tips to the Bose ones. While they do protrude quite a lot, the H15 feels quite stable in the ear due to those stabilizers on the tips, staying put just fine during a quick run. And though I wouldn’t think the sensitive electronics would deal well with moisture, from an ergonomic standpoint, the H15 is well equipped for activity. But apart from looking a little cheap and simplistic, my main issue with the H15 is their inline remote which tends to rattle with movement, diminishing their perceived quality. I wouldn’t consider this to be a particularly serious issue since even Fiio’s earphones suffer from similar issues. The cable on the H15 is fixed though it is of higher quality than one would expect, I actually prefer it to the incredibly rubbery, stiff unit on the Bose QC20. The cable is of adequate thickness with a sturdy fabric sheath that runs its entire length. It has a smooth texture that doesn’t catch and does reasonably well to resist tangles. The earpieces have sufficient strain relief as does the noise cancelling module and right angle plug though the remote/y-split is devoid of any reinforcement. The remote itself is pretty sturdy, it has 3 rubberized buttons that are clicky and easy to identify, the volume buttons work on both IOS and Android and the remote even features a bass boost switch. I would have liked to see a switch to toggle ANC like the QC20 though the button on the module is easy enough to operate. And speaking of the module, it’s probably the best-constructed part of the entire earphone. The housing is a dense matte plastic with a nice anodized faceplate. The module is easy to control with only a single metal button which simply toggles ANC on and off. The top surface also houses two status LEDs that denote function and remaining battery and the side a micro-usb charging port. The module has a short wire that connects to the source device, enabling it to be stuck to the back of a phone or simply held in place by the user. It’s similar to the QC20 though the smoother texture of the remote doesn’t pick up lint and catch on my pocket. If you’re new to active noise cancelling devices, the premise is simple but difficult in implementation. 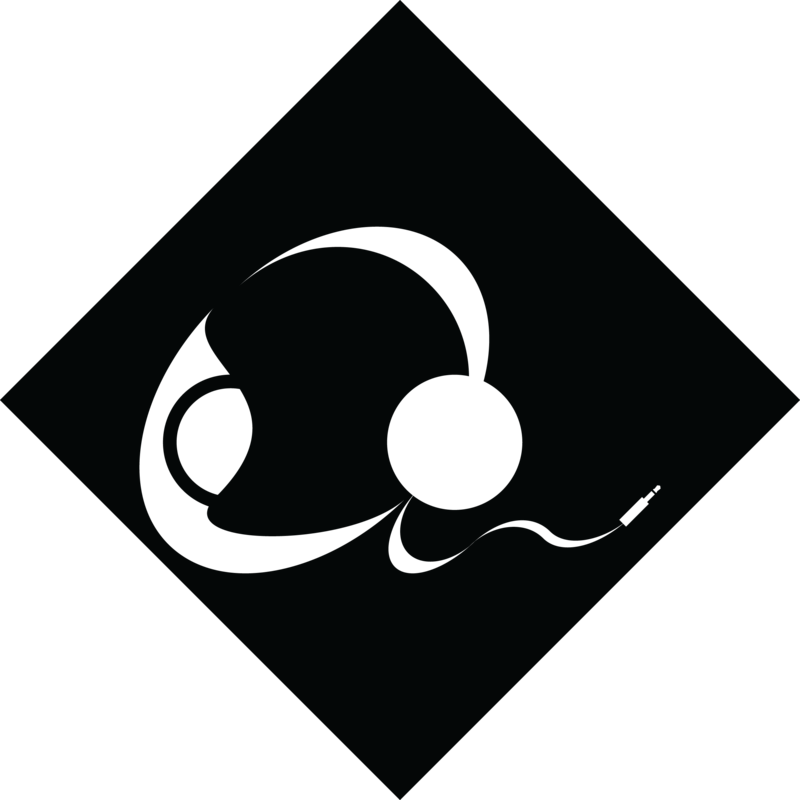 Beyond passively blocking noise by creating a seal with the ear, noise cancelling earphones/headphones use microphones to sample noise in the environment and lightning fast computations to create an inverted waveform that destructively interferes with ambient noise, lowering its volume or cancelling it out entirely. I’m a huge fan of OVC’s implementation. For one, activating the noise cancelling circuit doesn’t introduce any noise or hiss into the sound, nor does it boost volume or change the sound of the earphones like most other ANC earphones I’ve tested. This allows users to clearly experience the effect of the ANC system without cheating by boosting the bass or volume, it also demonstrates that OVC are quite confident in their implementation. And in usage, the H15 actually blocks noise quite well, much more than I expected them to given their price. They’re still far from the Bose QC20 or QC30, the noise cancelling circuit minimally drops the volume of voices, but any low-frequency droning is almost silenced if not cancelled out altogether. In addition, high-frequency noise is modestly attenuated by the H15’s sealed design though in this regard they are well behind a good fully sealed in-ears. The H15 also isn’t too affected by wind noise, in fact, the earphones actually reduce wind noise when NC is active where the QC20 tends to overcompensate and introduce some artefacts when in a windier environment. Taking the H15’s for a train ride and a walk around the city produced some really pleasing results. The screeching of the rails and the constant jumble of passengers, wind and air conditioning were greatly hushed, almost undetectable once music was playing. Some distant voices were audible, however, the earphones passively blocked enough noise to avoid distraction. By comparison, the non-ANC Shure S215’s also provided great noise attenuation, blocking more vocal noise but failing to attenuate the same level of low-frequency noise. As a result, bass becomes somewhat drowned out without increasing the volume. The Bose QC20 provided the strongest performance of the bunch, absolutely silencing low-frequency noise, effectively cancelling out vocals and passively blocking out some high-frequency noise too. That being said, the Bose in-ears did have the most aggressive implementation, producing some pressure during wear that I didn’t notice on the H15 in addition to a significant pop when doors opened and closed. Some voices and high-frequency noise, though well attenuated, also became a bit garbled which tended to draw more attention away from the music. Still, if budget was no obstacle, I would go with the Bose or Shures as they provided the most even isolation and the best sound quality which I will delve into after the break. As an extra note, OVC claim that the H15 gets 60 hours of battery life which is stunning for an ANC earphone and over 3 times that achieved by the QC20. I didn’t time the longevity I achieved from my unit, but I did manage to make it through a good fortnight of daily use before requiring a charge which was impossible with the Bose. While you don’t really need more than 16 hours of battery life at a time, frequent travellers and those transferring across many flights will appreciate the greater longevity of the H15. OVC promised me an exceptional mix of audio performance and noise cancelling through a very interesting driver setup that seeks to address the main flaw with noise cancelling in-ears. Because the driver has to work so hard cancelling out noise, and also due to the higher cost of all the electronics inside the module, most ANC earphones sound quite mediocre, even downright bad. However, the H15 utilizes two separate drivers, one dedicated for ANC and the other for audio. Through such a setup, OVC hope to provide the best of both worlds. And in listening, the H15 did impress in many ways but also fell into some of the same pitfalls as other budget ANC earphones. So while their noise cancelling performance is thoroughly impressive for their $50 asking price, their sound quality isn’t quite as flawless, even when compared to similarly priced earphones like the Fiio EX1, Shozy Zero, Meze 11 Neo and even the vastly cheaper Fiio F3. The first thing I noticed about the H15 was its brightness, they had a prominent but not overbearing treble response and a slight lack of low-end authority; bass is light and lacking a bit of presence and extension for my preferences. That said, bass is still clearly audible and commendably snappy on faster tracks but lows so lack body and sub-bass is soft in impact. In return, the earphones are nicely textured and very clean with a lack of any kind of bloat or bloom. That said, when outside, even with noise cancelling enabled, the earphones sounded overly lean. Above that, the H15 is not a bad performer at all. Mids are certainly bright, with recessed lower mids and male vocals, though they have a very smooth, clear upper midrange that flatters female singers and acoustic. While this style of tuning isn’t perfectly suited towards louder volume listening in noisier environments, it is nicely revealing for a noise cancelling earphone of this price, most of which are veiled and bass dominated. But onto the less positive aspects of the H15’s sound, their soundstage is definitely below average. Space is decent but imaging is imprecise making it difficult to locate directional cues. Perhaps this is due to the noise cancelling processing, but the earphones aren’t well suited towards gaming as a result. In addition, the earphones are pretty difficult to drive with a sub 100dB sensitivity rating. I noticed that they sounded downright off from my phone in either sound mode but sounded much better in bass boost mode + ANC from my Fiio X7 II. For an earphone intended for easy use while travelling, this really shouldn’t be an issue. When ANC is disabled, the bass boost makes the H15 sound very muddy and bloated. Bass bleeds into the mids and they sound overly boomy within the lower-frequencies, not an enjoyable listening experience regardless of genre choice. I’m assuming the switch enables the noise cancelling driver as an audio driver, introducing large quantities of bass. However, turning on the bass boost when noise cancelling is enabled finds a far nicer balance. The driver becomes split between noise cancelling and audio, which makes the bass boost far more tasteful but also slightly affects their ability to attenuate external noise. Still, this was by far my preferred listening setting. With both bass boost and ANC enabled, lows are granted with a nudge of extra fullness that makes them sound notably more dynamic. Greater low-end presence creates a more open, balanced sound with greater reach and slam than before. In addition, mids get covered in an extra layer of body that grants the H15 with a more natural presentation while retaining excellent clarity. This enhanced low-end presentation better complements their more forward high-end, creating a very balanced and more tastefully bright tonality. Moreover, they do so while retaining a crisp, nicely detailed high-end and a tight low-frequency response with great definition. While it does little to mend their rather incoherent soundstage, the H15 is an enjoyable and nicely resolving earphone for their asking price. They still don’t sound rich and lush like the Bose QC20 nor as revealing and refined as the Meze 11 Neo and Shozy Zero, but I can see plenty of buyers enjoying the earphones in this configuration. Bose QC20 ($299): The Bose has a considerably fuller, richer low-end combined with a more linear tuning. This results in a slightly more textured, defined bass response despite their greater emphasis and the Bose do sound appreciably more balanced in louder environments where bass tends to get drowned out. This continues to a warm, laid-back midrange that is smooth and approachable if lacking technicality. Highs are the Achilles heel of the Bose earphones, that are tuned for long-term listenability over engagement, with a rather blunted high-frequency response that saps music of crispness and truncates a lot of finer details. While the H15 is far from the most resolving earphone out there, they do have a little more bite to their higher frequencies that grants genres such as rock and acoustic with that essence of rawness and immediacy that the QC20 is lacking. The H15 isn’t a bad buy; a mere $50 gets you a very nice build and an excellent fit that rivals much more expensive models from Bose. In addition, the ANC actually pretty well, better than the vast majority of similarly priced ANC in-ears and plenty of on-ear headphones too. This combination of isolation and comfort is truly a rarity at this price. I wanted so badly to love the H15, OVC is a new company and the H15 is their very first product, one that has evidently been thought out and considered. Unfortunately, I am obligated to take a more objective stance as a reviewer and the H15’s audio performance, though serviceable, could do with some work. Of note, they are strangely picky with sources that makes them a little awkward to use with a smartphone, they just don’t sound right whether bass boost is enabled or not. Additionally, though their more reserved low-end tuning benefits the speed and accuracy of their sound, the earphones often lean out when ambient noise starts to creep up. The H15 is a very noble first effort from OVC and one with great potential. If OVC could swap out the audio driver for a more balanced full range unit (or even implement some sort of DSP into the module to eQ the tweeter driver), dedicate the second driver purely towards ANC and exchange that bass boost switch for some sort of NC toggle, they would have a winning formula. Verdict – 6/10, The H15 gets an easy recommendation in terms of fit and noise cancelling performance (as long as you keep your expectations realistic). However, though their sound quality is above average for OVC’s asking price, the H15’s tone is not well considered for their intended uses. The OVC H15 is available from Amazon (US) for $45 USD, please see my affiliate link for the most updated pricing, availability and configurations. I just bought a pair of these for $45. Would you say that is a worthy investment? I feel like that’s a question you should ask before you buy them!